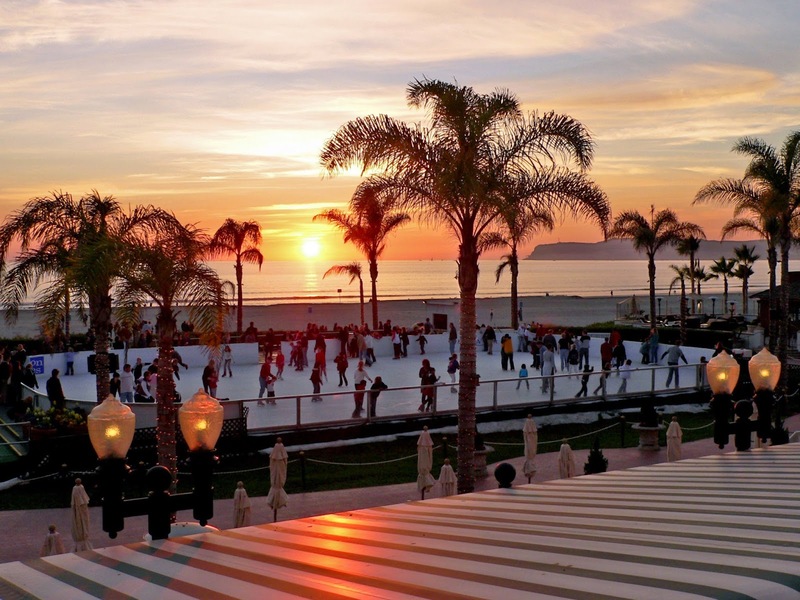 Travel-Tot: Great Holiday Getaways:Hotel del Coronado! It’s a little known fact that in 1905, 28 years before there was the Rockefeller Center Christmas Tree Lighting, it was Hotel del Coronado who strung the first set of outdoor tree lights, setting a widespread precedent of tradition across the nation. Since that time, The Del has become a holiday centerpiece of the West Coast for it’s annual, family-friendly activities and programming found nowhere else in the country. After recent polar vortexes, it’s time to pack your bags for a warm weather winter wonderland holiday excursion and check out some of these one-of-a-kind experiences. Elf Tuck Ins - As bedtime approaches for your little ones, have an elf visit your room to read a few classic stories to the kids before lights out. “The Night Before Christmas” is the classic book of choice for it’s detailed illustrations, holiday spirit and calm, relaxing storyline. Jingle S’mores - You and your family can cozy up to your own private beach bonfire, tuck your toes in the sand and toast some marshmallows for an evening of sweet treats. Enjoy seasonal smores with beach bonfire experience including Cinnamon Graham Crackers, Ghirardelli Mint Chocolate, Marshmallows, and a holiday hat for all! Brunch with Santa - Every Sunday from November 30 through December 21, families can enjoy The Del’s famous and festive Sunday Brunch in the legendary crown room with visits from jolly ol’ St. Nick. Take pictures and review Christmas lists with Santa himself all while enjoying a seemingly endless array of classic holiday and international foods perfect for every palate. Kidtopia At Kidtopia activity center, the new DelVenture program offers children ages 4-12 exciting and seasonal activities and adventures such as safaris, ocean learning, mosaics, junior photographers, beach Olympics and more. Kids ages 4-12 will also receive an adventure pack at check-in [overnight guests only], complete with a treasure map and compass. They can explore the resort and uncover the hidden clues, leading them to a “treasure” at the end. As you begin to deck the halls and plan for online holiday family travel roundups, keep Hotel del Coronado in mind - it's the perfect spot for holiday family fun!